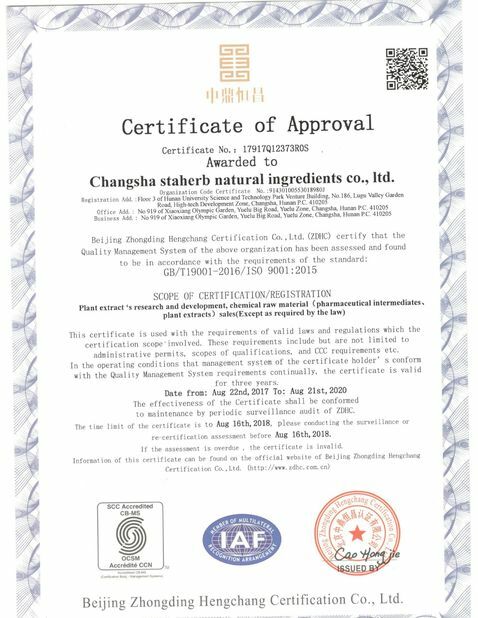 Supplier Changsha Staherb Natural Ingredients Co.,Ltd. 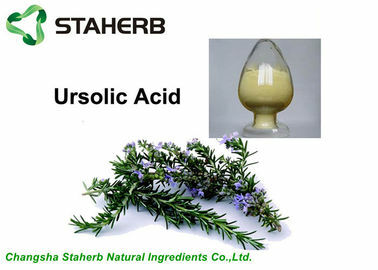 1. rosemary extract ursolic acid is a potential anxiolytic. 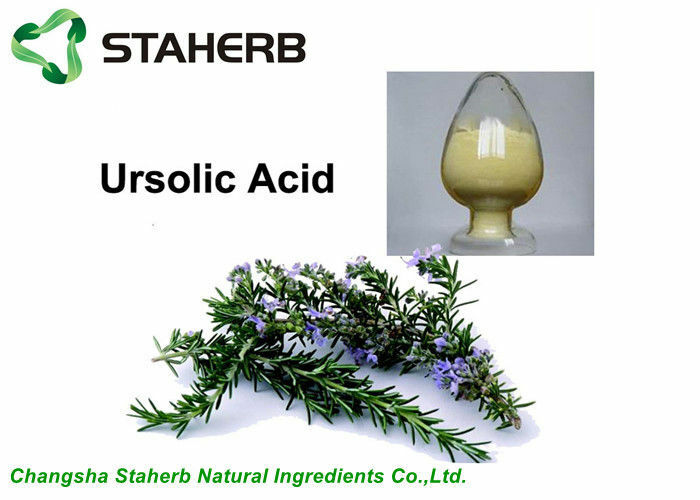 2. rosemary extract ursolic acid may remove the ciguatoxins from their sites of action, as well as being an anti-inflammatory. 3. may remove the ciguatoxins from their sites of action, as well as being an anti-inflammatory. may be transported in the bloodstream bound to human serum albumin and lysozyme. 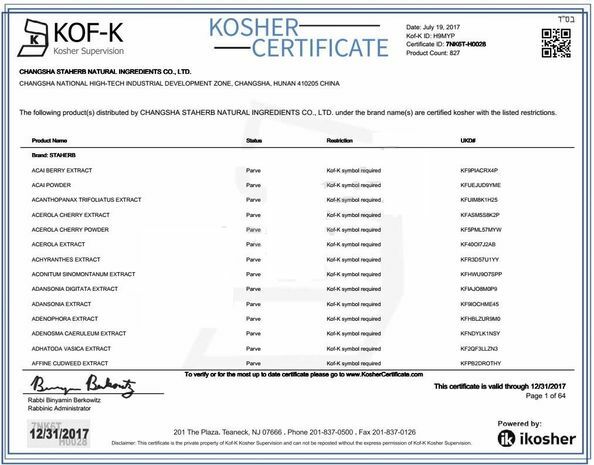 High-efficient antioxidant; Antibacterial;Restrain growing of colon bacillus and staphylococcus aureus. Antineoplastic effect;Anti-hepatitis effect, protect liver from damnification;Anti-nephritis; Anti-thrombus; Anti-platelet-aggregation; Refreshing, strengthening memory, improving strain and hypersomnia, anti-depressant.